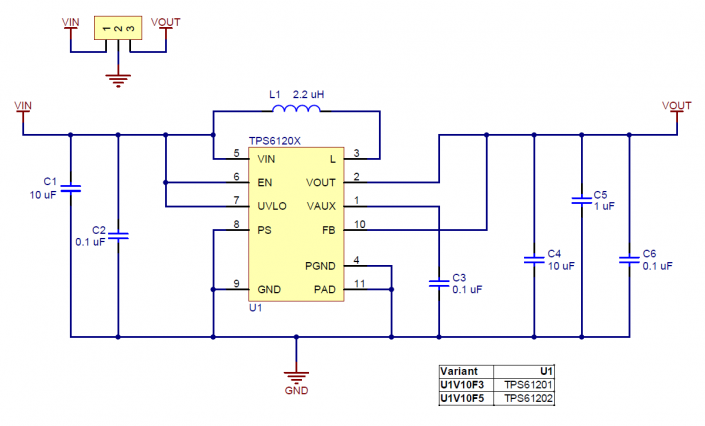 The input voltage, VIN, must be at least 0.5 V for the regulator to turn on. 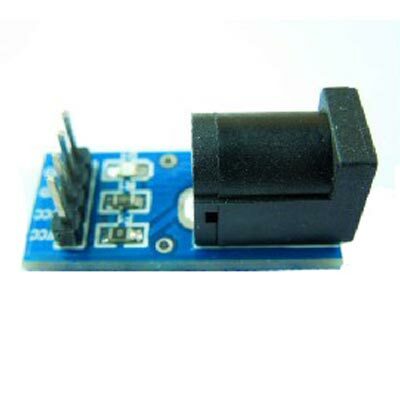 However, once the regulator is on, the input voltage can drop as low as 0.3 V and the 3.3 V output voltage will be maintained on VOUT. 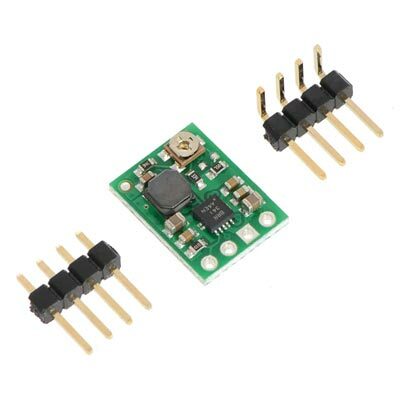 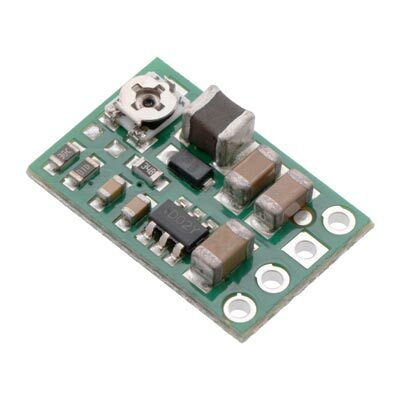 Unlike standard boost regulators, this regulator has an additional linear down-regulation mode that allows it to convert input voltages as high as 5.5 V down to 3.3 V for small to moderate sized loads. 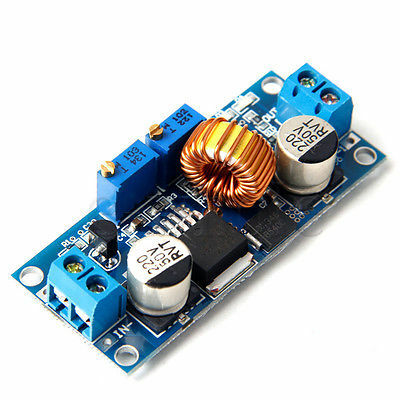 When the input voltage exceeds 3.3 V, the regulator automatically switches to this down-regulation mode. 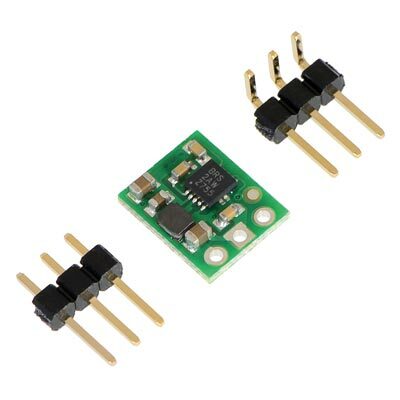 The input voltage should not exceed 5.5 V. Please be wary of destructive LC spikes that might cause the input voltage to surpass 5.5 V (see below for more information). 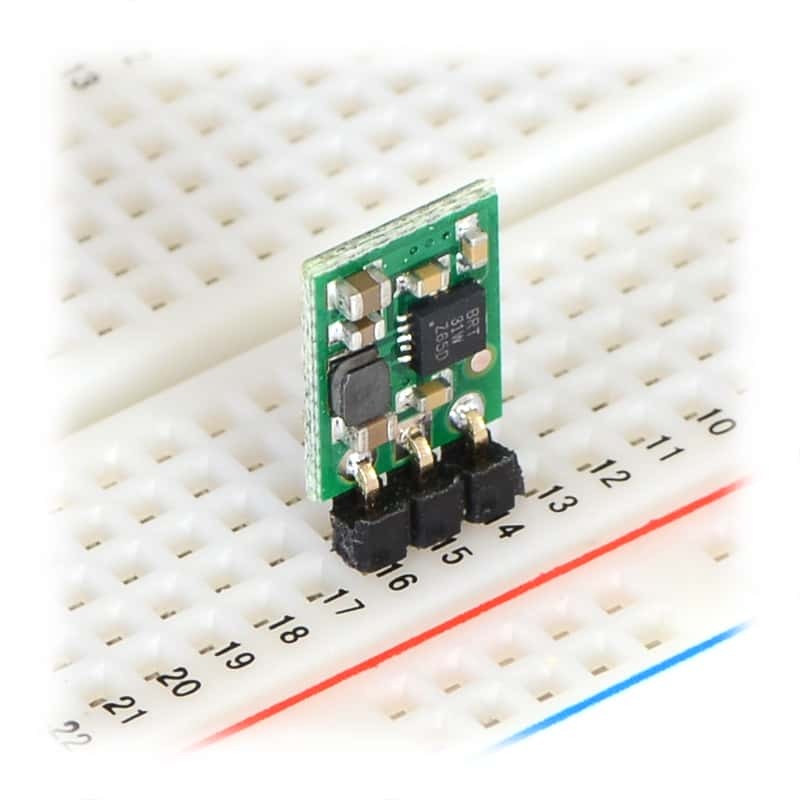 The three connections are labeled on the back side of the PCB, and they are arranged with a 0.1″ spacing along the edge of the board for compatibility with solderless breadboards, connectors, and other prototyping arrangements that use a 0.1″ grid. 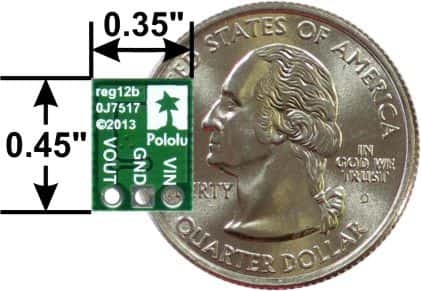 You can solder wires directly to the board or solder in either the 3×1 straight male header strip or the 3×1 right-angle male header strip that is included. 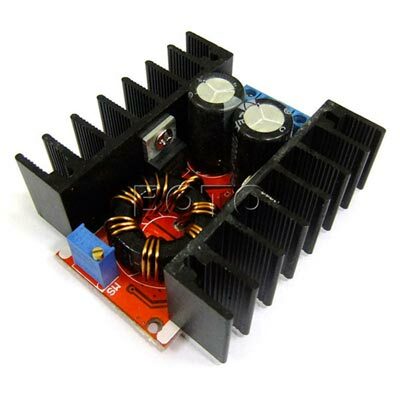 The efficiency of a voltage regulator, defined as (Power out)/(Power in), is an important measure of its performance, especially when battery life or heat are concerns. As shown in the graphs below, this switching regulator typically has an efficiency of 65 to 85%.